Bonjour! 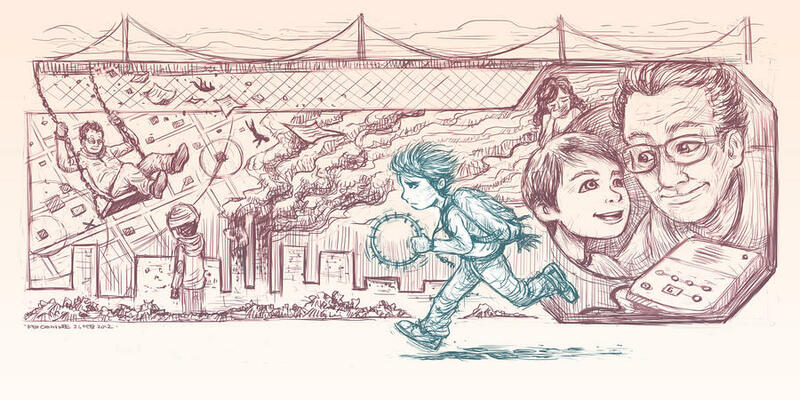 Welcome to our blog about "Extremely Loud and Incredibly Close" by Jonathan Safran Foer. Here we will post book reviews and summaries. Warning: Spoilers! Here Oskar is shown with his dad Thomas, who he loves very much. Also shown is the phone Oskar listens to to hear the voice message Thomas left when the Twin Towers collapsed on 9/11, the tambourine Oskar plays, written letters from his grandparents, and the New York city skyline because Oskar's family lives in an apartment in Manhattan. This is a key like the one Oskar found in a blue vase in his father's room after "the worst day". Oskar puts it on a string and wears it around his neck, so it is with him always. 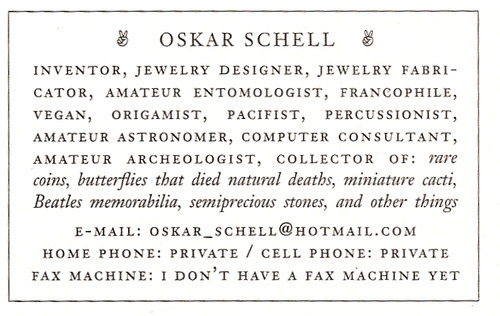 This is Oskar's business card. He gives it to some of the Blacks so that they can contact him in case they find anything out about the key. 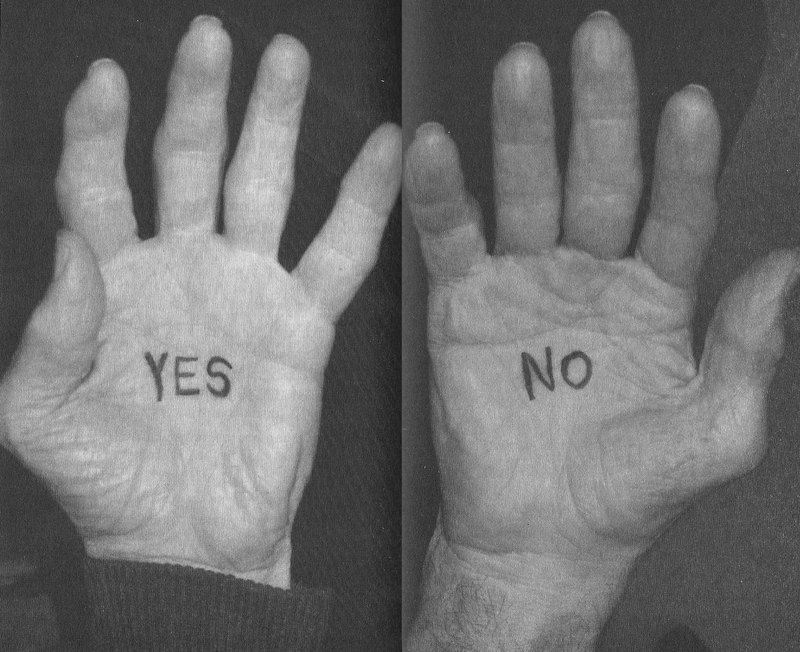 Since Oskar's grandfather can't talk, he got the words Yes and No tattooed on his hands so he can quickly answer questions. Oskar's grandmother sometimes just holds whichever hand has the word she wants to say, because they know each other so well.